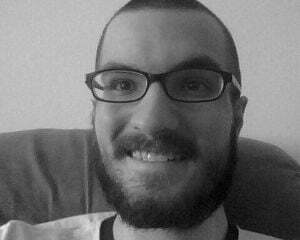 Solo developer Askiisoft is no stranger to creating challenging games. Tower of Heaven and Pause Ahead both gave me a run for my money (even as freeware), and the upcoming action title Katana Zero is no exception. The gameplay is perhaps best described as a side-scrolling Hotline Miami, where the main character's primary weapon is his katana. The goal of each stage is to expertly assassinate everyone on screen and then make your way to the exit within the time limit. Both the player and the enemies can be killed in a single hit, so tensions run pretty high as you're running around, dodging attacks, and trying to land the first strike. 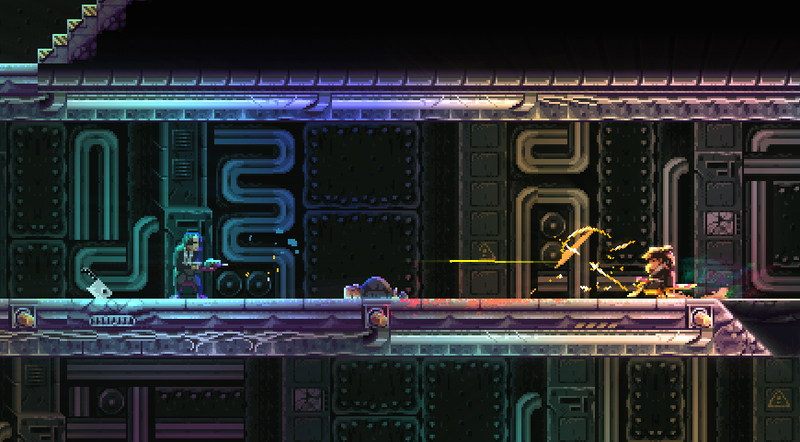 While many of the enemy forces have access to guns, the player will mostly be using the katana. It's usually a good idea to quickly close the gap between yourself and a gun-toting villain before they can get a shot off, but it's also possible to ricochet their bullets back at them with a quick swipe of the sword like a total badass. This is a feat made easier with the use of a drug called Chronos. Chronos will slow time down considerably, allowing the player to carefully plan out their next move. With such fast-paced action on display, being able to slow down for even a moment can be a lifesaver. I often used the brief respite simply to get my bearings amid a group of angry foes, knocking them off their guard to give me a chance to take them out. I didn't have enough time with the game to really hone my skills, but it's possible to pull off some truly impressive moves with the help of Chronos. Aside from the katana, the main character's other skills include dodge rolling to avoid traps and attacks, and picking up and throwing objects lying around in the level, such as flower pots and lamps. These will instantly kill enemies, and I found them to be perhaps the most useful weapons at my disposal, especially for taking dudes out from a distance. Pulling all of these techniques together, I had more than enough moves in my arsenal to skillfully defeat my adversaries and overcome the challenges that faced me, but even so it wasn't easy. It will take a while for some players to master the mechanics. I bumbled around for a good chunk of time, trying my best to look like a professional assassin as I clumsily ran right up and let myself get punched in the face and shot in the chest over and over. But I slowly learned from my mistakes and eventually succeeded, moving on to the next challenge. To top off the exceptional gameplay, what makes Katana Zero really stand out is its atmosphere. The sleek 80s neon aesthetic is complimented with a killer soundtrack of thumping tunes to get you pumped, even when you die repeatedly (this should come as no surprise to those who have played Askiisoft's other games, especially Tower of Heaven). Other neat effects add even more layers of style, like the satisfying explosions of blood, the bursts of energy emanating from the main character and the katana, and little things like text boxes shattering and falling to the floor when the speaker is interrupted by an attack. Finally, there are some cutscenes with an interesting dialogue mechanic that take place between the action. 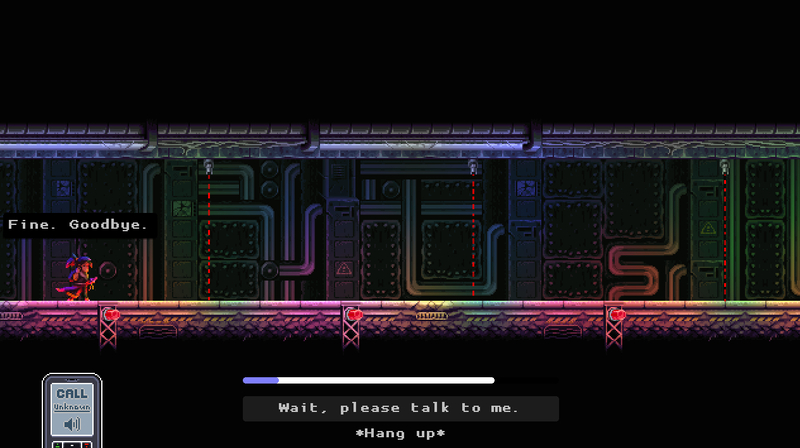 While talking on the phone or to other characters, the player will be presented with dialogue options and a timer. These options will occasionally change as time passes, but they also allow the player to skip conversations entirely by shutting down the other party, either by hanging up the phone, making rude remarks, or simply ignoring them. The responses to these sorts of actions can be quite humorous so while it didn't seem as though these choices would impact the story all that much, it certainly provided a nice bit of comic relief after completing a particularly brutal challenge. I will sadly admit that I wasn't able to beat the demo, but I almost made it. After struggling a lot on the final stage I eventually managed to take down every enemy, only to foolishly meet my end by running into some security lasers as I hastily made my way back to the exit. Oh well. Now I know to be more careful next time, and I honestly can't wait for the opportunity to try again!